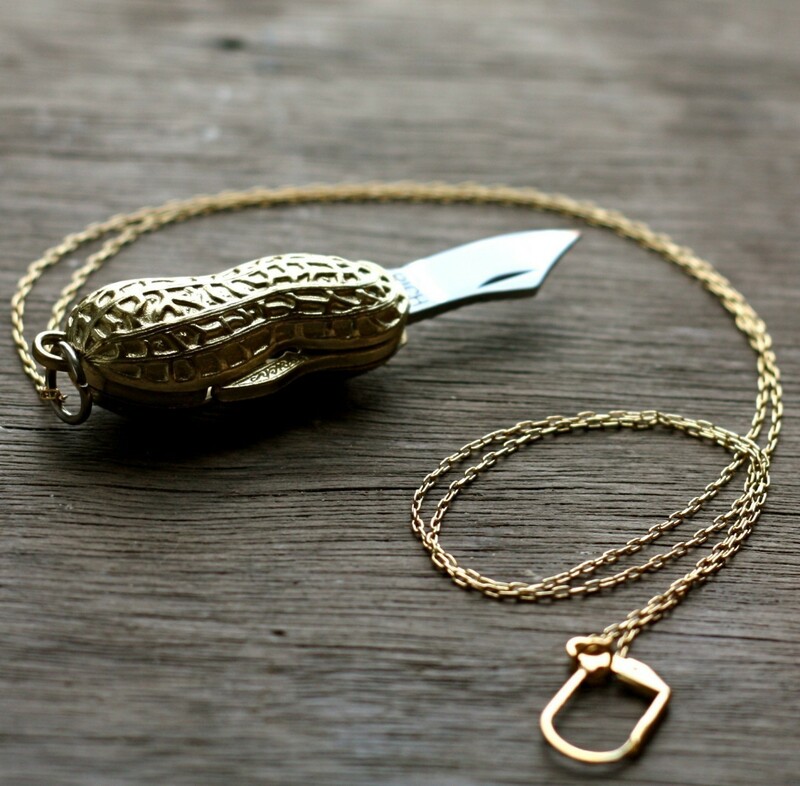 We're giving one of these Contrary peanut pocket knife necklaces away to a lucky reader! Full details below the dotted line (if you want to skip ahead). To welcome the holiday season and show thanks to each of our readers, we're giving away one of these brass peanut shaped pocket knife necklaces, from my jewelry shop, Contrary. This design in particular gets more comments on it's quirky, cute, and edgy nature from people all over the world — it's been one of the most popular designs in the pocket knife line for 2 1/2 years now and would make a great gift idea for the holidays. To enter, simply visit Contary, then leave a comment on this post and tell us your favorite way to eat peanuts. I have great memories of shelling them on the front porch when I was little — sneaking a taste of the salty shells. Tweet about the giveaway including the following: "@17Apart is giving away this peanut pocket knife necklace: http://tinyurl.com/bn7qxfe" along with anything else you'd like to include - then leave a new comment on this post letting us know you've done so. 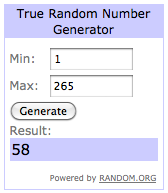 The giveaway will end Saturday, November 26, 2011 at 11:59 PM EST; the winner will be auto-generated using Random.org and updated in this post shortly thereafter. Be sure to come visit to find out the winner and good luck! What a fun giveaway for a fabulous necklace! and I tweeted about the giveaway. 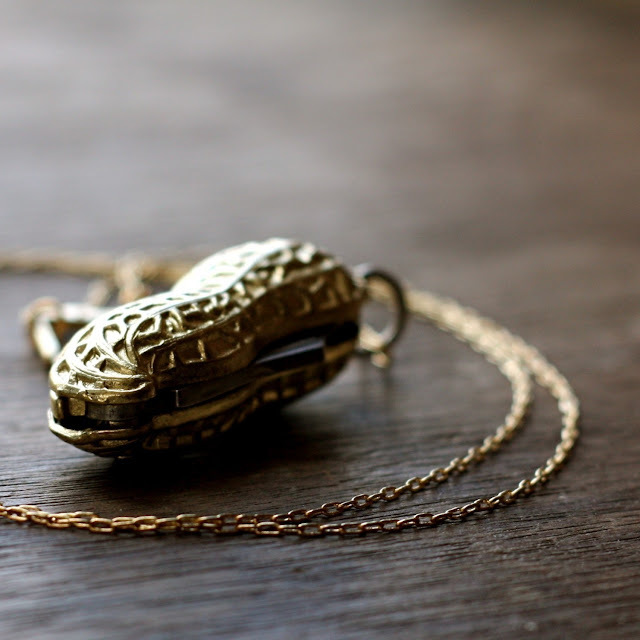 I love this necklace--well, all the pocket knife necklaces! Thanks for offering it! I've liked 17 Apart on Facebook. My favorite way to eat peanuts is in the form of peanut butter! I like the cross pocket knife necklace. My favorite way to eat peanuts is peanut butter and jelly sandwhiches. Thank you for the giveaway! I eat peanut butter EVERY SINGLE DAY! But with actual peanuts, I like having them in a big bowl and sharing with my husband. I love pretty much peanuts in any form. Right now I have a small obsession with crunchy peanut butter. I'm a Twitter follower (@whitneylindeman). I love to eat them with candy corn! I actually take the whole peanut in my mouth with a crunch to get the salty shell taste and spit the shell pieces out.... my whole family thinks it disgusting. lol I guess I am a strange cat! My favorite way to eat peanuts is roasted and salted at the baseball stadium! I now follow your blog. I liked the post for FB. I like 17 Apart page on FB. And how I like my peanuts….BOILED!!!! If you have never eaten a boiled peanut you're missing out. I like eating peanuts at Logan's Restaurant. I used to hate peanuts! I'd only eat them if we were at one of those restaurants where you can just peel them and throw them on the floor. My favorite way to eat peanuts is still restaurant-style (roasted and salted I guess). I love my peanuts crushed up over a caramel sundae. Poured over a hot fudge sundae! My favorite way to eat peanuts is in trail mix! My favorite way to eat peanuts is by using it to make vegan peanut butter chocolate chip cookies! I remember my mom making us eat peanuts outside because we would always up end up in a "shell throwing fight." :) Thanks! Like your site on FB (Contest KAO). @17Apart is giving away this peanut pocket knife necklace: tinyurl.com/bn7qxfe"
My fav peanut eating memory...well....there was this little pub in the big city, and it was an hour away...and they had free peanuts on the table, and you could crack em and eat em and throw the shells on the ground, and anytime someone was walking around you could hear the crunches..it was the BEST place to have a nice cool beer and eat peanuts! I love to eat peanuts in a Coke. Ever done that? Try it, you might like it. I'm from the South, I like my peanuts boiled! :P I also LOVE the skeleton key bottle opener necklace -- genius! My favorite way to enjoy peanuts is in peanutbrittle. Yummy! My fave way of eating peanuts is the old fashioned shelling with hands & eating them. My Dad is a huge peanut lover & we used to eat them together in his workshop when I was a kid. Just simple roasted, lightly salted peanuts. Nothing better. White bread, toasted + butter+ generous smearing of Adam's crunchy peanut butter. I like to eat peanuts in the shell that have been boiled and salted. I love eating peanuts salty out of the bag. I can't get enough Peanut Butter!!!! It's divine! At the moment I'm making a lot of pad thai at home - the crushed peanuts make it. I love them in trail mix. Yum! I love honey roasted peanuts but any peanut will do! Crunchy peanut butter on a whole wheat bun with a touch of honey is my favorite way to eat peanut butter. Like you on facebook as Diana Z. Follow you on twitter @goldiez. Signed up for your newsletter. i love to eat them in a trail mix. I like peanuts in the form of peanut butter. I shared this post by clicking the Facebook Like button. If they're shelled I like them roasted (but without salt!) and if they aren't I like them cooked boiled (they have to be fresh then!). Other wise I'm a fan of peanut butter and jelly on bread and I like a good peanut sauce too! I signed up on facebook and love the necklas. I actually carry peanuts with me daily as a snack and prefer to eat them on my waffles with lots of syrup or honey. Thank you ! I like Planters Hot Peanuts. They come in a little bag and cost about 35 cents. I love to eat honey roasted peanuts from Charlie Browns. A local market stuffed to the brim with trinkets, produce, vintage candy and bulk products. :) So tasty! I am following you on Facebook as Jasanna! I am following you on Twitter as MunchTalks! I'm subscribed to your email! Wow! I so love peanuts! We have various ways on how to cook peanuts like, sugar-coated peanuts, salted peanuts, boiled peanuts etc..
My favorite way is to eat them out of the shell, preferably when there are chipmunks nearby who can share in my bounty! I love creamy peanut butter straight from the jar! I follow you on twitter, @slowclublover. I love to eat crunchy peanut butter with chocolate! delicious!!! I'm a sucker for a hidden switchblade, call it a West Side Story complex. My favorite way to eat peanuts is from a vendor at a baseball game on a warm summer night! I really miss the peanut soup I used to get at the surry house. Savory and unusual and goooooooood! But I like this necklace. honey roasted are my favorite!! My favourite way to eat peanuts: as is! Nothing fancy, just give me the peanut lol! My favorite way to eat peanuts is in my pb&j muffins. YUM! 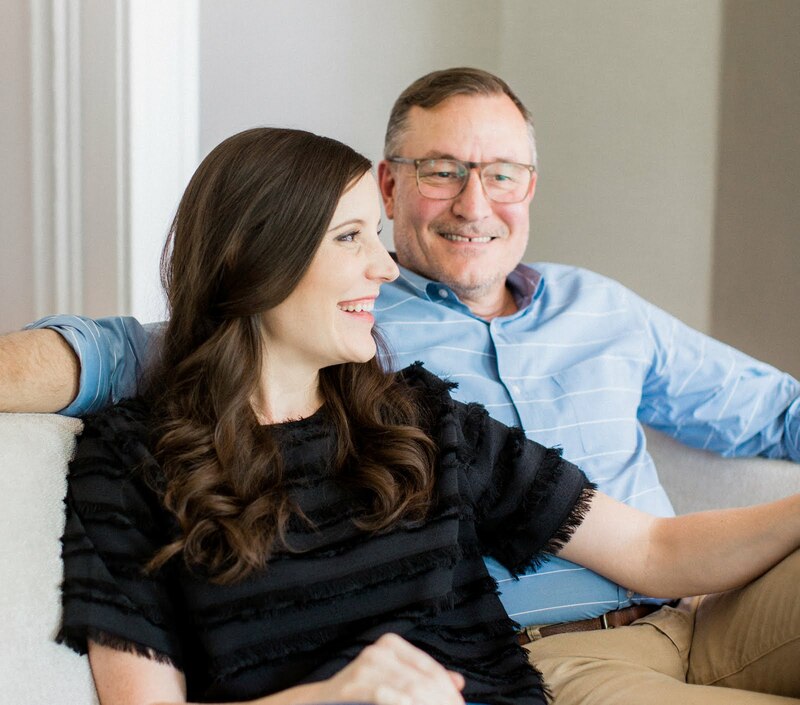 Happy thanksgiving for you and yours ! I love eating the peanuts at carnivals. Warm and roasted.